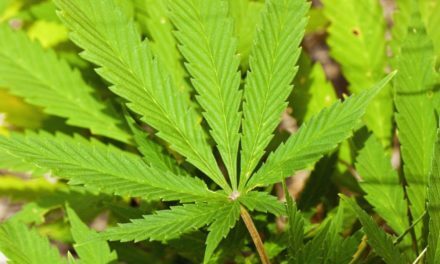 Marijuana is the single most popular recreational drug in use today around the world. For hundreds of years, consumers of cannabis have used this weedy flowering plant to relieve stress, entertain themselves, heighten experiences and just generally have a good time. 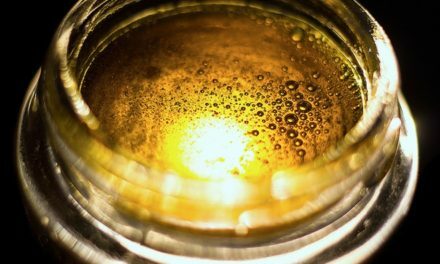 Smokeable Herbs is proud to present a 3 part exhaustive list of marijuana extracts, covering everything from hash and honey oil to dabs and elixirs. Chances are good that, if you’ve ever been curious about a certain product, it’s covered in our collection of cannabis extracts. First part is about natural bud extracts and concentrates. These are all made using the dried, cured cannabis flower and processed very little, if at all. None of these extracts contain any sort of chemical additives or fancy processing, and in many cases the trichomes are dissolved in foodsafe ingredients. If you’re looking for a classic flavor with a bit of extra punch, or a powerful edible that’s still all-natural, these natural bud concentrates and extracts are going to be the right pick for you. We’ve covered everything from Thai stick to budder, so take a look at our guide to natural cannabis extracts. Call it bud, weed, ganja or anything else, but this is the dried flowering head of cannabis. It’s covered in trichomes containing a class of psychoactive substances called cannabinoids which give marijuana its popular high. 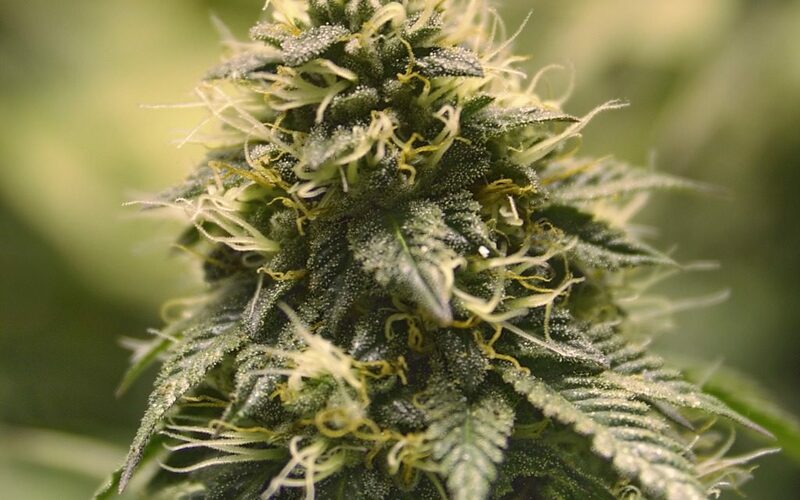 The dried, cured cannabis flowers can be smoked, vaporized, extracted and processed in any number of different ways. 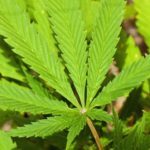 We’re using the flowers to establish a baseline for potency, but in reality the effects of marijuana vary so much from strain to strain that applying a single number is next to impossible. In fact, one of the key reasons that someone might choose extracts over straight-up cannabis buds is because they tend to be much more standardized. This fortified bud is one of the oldest forms of extract, with Thai stick hitting peak popularity in America during the 1970’s. In order to make Thai stick, growers dry and cure whole buds, still on the stem, and dip them repeatedly into marijuana or opium extract. What you’re left with is a potent, dark, tacky stick of cannabis. 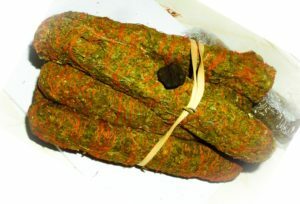 In order to ship Thai stick, the manufacturers typically wrap the whole buds in marijuana leaf and tie them into bundles with hemp twine. Thai stick has largely fallen out of fashion, although it’s still available in Southeast Asia, Australia, and Mexico. With the increasing potency of marijuana there isn’t as much call for fortified bud anymore, it’s hard to break up for smoking since it’s so sticky, and there’s really no telling exactly what Thai stick has been dipped in. Still, along with hash and keef, Thai stick has a place as one of the oldest and most traditional forms of cannabis extract. 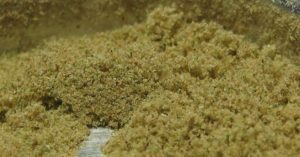 Also called kif, cheef or kief this light green or golden powder is one of the simplest forms of hash. Keef is made by shaking dried and cured marijuana flowers over a fine mesh screen, which knocks the trichomes from the plant material. Keef is more than just unprocessed trichomes though, it’s mixed with small bits of leaf and bud that have fallen through the screen, giving it a characteristic taste, texture and color. It’s a popular addition to the top of a bowl or mixed in with a joint, it can be vaporized or used for further extraction. A big part of keef’s popularity is due to how easy it is to make, since a lot of grinders include a keef screen for automatic collection. Unlike a true hash, keef crumbles and won’t hold its shape for long after it’s been compressed, which makes it more difficult to store for long periods of time. Cannabutter is one of the most popular DIY cannabis extracts, since it can be made on the stove or in a crock pot. It’s nothing more than cannabis leaves or flowers that have been cooked at low temperatures in oil or butter in order to extract the active cannabinoids and yield a product that’s easy to cook with. A lot of homemade edibles start out as budder, and there is a growing movement in areas where marijuana is legal to use it in gourmet meals. Cannabutter is greenish in color because of the inclusion of small bits of plant material and chlorophyll that gets extracted during the process. 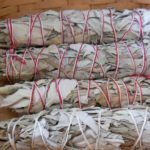 It’s notorious for having an unpredictable potency, with the results mainly depending on the extraction process use and the talent of the person doing the job. Cannabutter can be added directly to cookies, cakes, frosting and even ice cream, giving these foods a potentially potent high which kicks in about 40 minutes after eating. Most over the counter edibles that are made locally start out as a cannabutter infusion. Cannabis vaporizer cartridges are a relatively new product that aims to take the mess out of smoking oils. It’s essentially CO2 concentrate that’s been suspended in a proprietary solvent blend and then sealed in a container that screws into some medical vaporizers. Although there’s no risk of making a mess with these cartridges, they’re criticized for not being refillable and are more expensive than competing extracts. Still, with legalization on the way in America, it’s possible that they’ll grow in popularity as vaporizer pens gain ground nationally. Cannabis wax consists of a minimum of 80% cannabinoids suspended in the yellow, waxy solids which give honey oil its color. It’s relatively solid at room temperature, incredibly sticky, and perfect for vaporizing. Because of the texture, wax has to be dabbed into the vaporizer using a toothpick, hairpin or other small stick. Wax is growing in popularity, and it’s widely seen as the hottest new marijuana extract. In fact, the latest crazy in cannabis consumption is dabs, which is a method of smoking wax by putting it directly on the coils of a vaporizer. 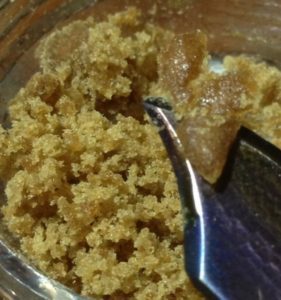 The high from dabs hits hard, lasts a long time, and is comparable to a more intense version of hash oil. 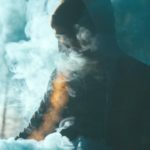 Dabs are popular in part because they are a low-odor alternative to vaporizing cannabis flowers, which makes them more suitable for use in public. Although they aren’t available everywhere yet, wax is becoming more commonly available in dispensaries and pot shops in states where cannabis consumption is legal. Bhang is an Indian drink base that’s made with cannabis flowers, clarified butter, yogurt, and spices. 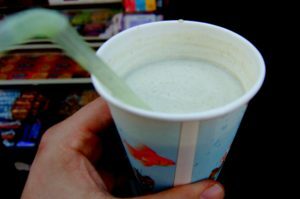 It’s often mixed with more yogurt and water to make a drink called ‘bhang lassi,’ or it can be mixed with slivered almonds and almond milk, honey and rosewater and served cold as ‘bhang thandai.’ However you prefer it, bhang is popular in India among people who abstain from alcohol for personal or religious reasons, and it’s served widely during religious festivals. Along with Bhang, green dragon was one of the first forms of liquid marijuana. It’s popularly made at home, although in some places it’s becoming a commercial product. 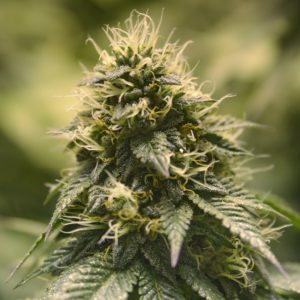 There are a lot of different recipes for green dragon, but the simplest involve steeping cannabis flowers in vodka for a week or two at a time with occasional shaking. 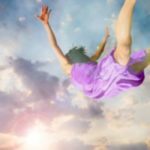 The high is different than many other edibles, since it hits you faster and is always mixed with an alcohol buzz. Although vodka is most common, green dragon can be made with any high-proof alcohol. It can be flavored with syrup, mint being the most popular, after the initial extraction in order to mask some of the grassy, botanical flavors of the drink. 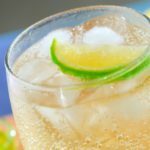 Any alcohol that is at least 80-proof will work, although since cannabinoids aren’t water soluble, you can get the best results with everclear and grain alcohol. Don’t miss part two for hashish oil and extracts! Very informative, thanks! I mostly make mine into edibles via the coconut oil extraction method, I’m going to try the green dragon next.